Egypt Creek Landscaping is busy helping our clients prepare their trees for the coming fall and winter seasons! Late summer is the perfect time to have our tree service out to your property. With a little help from us, your trees can come back more beautiful and stronger than ever this spring. Why Trim Your Trees in the Late Summer? Once it starts to get cooler at night and the sun starts to set earlier in the day, it marks the end of the growing season for trees. That’s when they start to lose their leaves and become dormant for the winter. The beginning stages of dormancy are the perfect time to trim your trees, but you want to do it before it becomes too cool. During the fall, there is a higher concentration of fungi and diseases that can attack your tree through open wounds left by the trimming process. If you can’t trim in the late summer, let our team do it for you in the winter. Trimming your trees now allows the tree to focus its energy on new growth in the spring. Instead of trying to maintain those additional branches, you can help the tree focus energy on putting on new branches, strengthening existing ones, and putting on additional blooms. 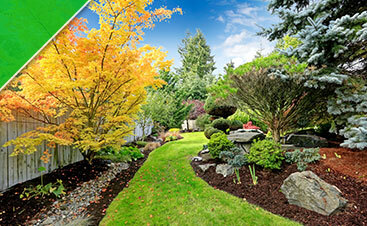 You’ll be amazed at how a little trimming and upkeep can help your trees look better than ever in the spring! Get in touch with our landscaping team in Grand Rapids and we’ll get started on the tree services you need for your property.